Don't know if you are still around. Can you quote me a set of 4, 19/8.5 Silver VVSCV1 for 2013 S550V4? I'm not sure how to send a PM to ya... I saw https://mbworld.org/forums/5556731-post2783.html and fell in love. I went through the dealer locator on your main page but being in ND, I don't think there's anyone close to being local. Could you email me some prices w/ tires on this setup? Thanks! Need help with size/offsets for my 08 CL63 AMG. Looking to order a set of CV1 this weekend! Do you still mail out catalogs? Click here to go to the full gallery and see wheel specs! These are now IN STOCK READY FOR YOU!! Contact a Vossen Wheels dealer!! Here they are on a C-class! 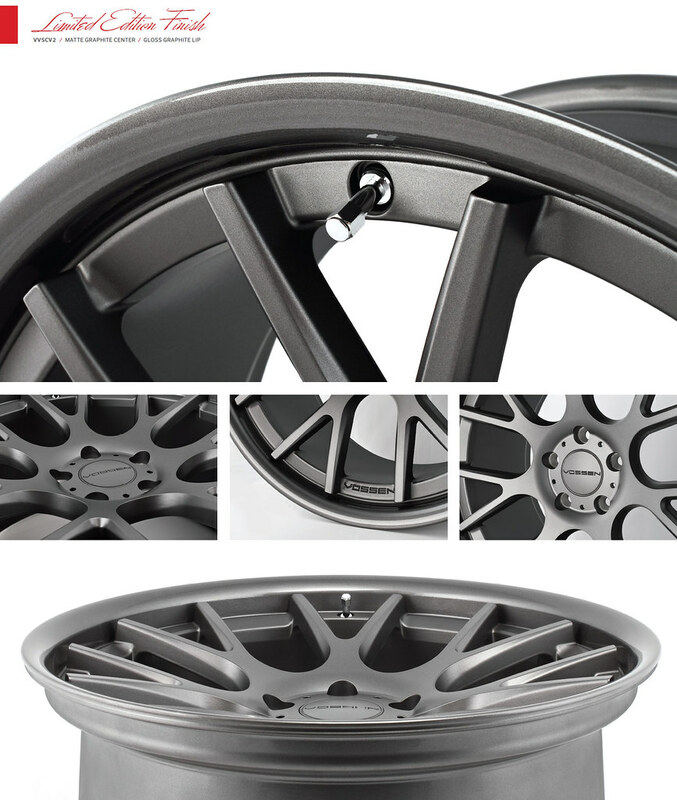 Limited editions-VVS-CV2 - Matte Graphite / Gloss Graphite Lip - F:20x8.5 / R: 20x10, in stock now!! !